Therapeutic Life Story Work is about developing a therapeutic relationship with children and their parents/carers. This enables families too meaningfully and deeply process children’s past experiences and help them to move into safer attachment relationships in the present and future. It helps the child retain their memories, and separate reality from fantasy or magical thinking. Therapeutic Life story work empowers a child’s voice and provides them with a safe space to feel and express their thoughts and emotions when making sense of past experiences and the relationship these have to their current thoughts, feelings and behaviours. Is aimed at children who have been fostered, adopted or suffering trauma and their life history can be extremely fragmented, confusing and often frightening. Play Therapy uses a variety of play and creative arts techniques to alleviate chronic, mild and moderate psychological and emotional conditions in children that are causing behavioural problems and/or are preventing children from realising their potential. The Play Therapist works integratively using a wide range of play and creative arts techniques, mostly responding to the child’s wishes. The Play Therapist forms a short to medium term (minimum 12 weeks) therapeutic relationship and often works systemically taking into account and perhaps dealing with the social environment of the clients (peers, siblings, family, school etc). Play therapy is particularly effective with children who cannot, or do not want to talk about their problems. Brick Club is a social skills group, where children take part in LEGO®-Based Therapy. It is a social skills programme based around building LEGO models in groups. Who are we aiming Brick club at? Children (Year 2 and above – similar age children in a group) with social, emotional and mental health difficulties to help practise social skills through facilitated, collaborative group play. The aim of the group is to help children to develop social interaction skills in a friendly, fun setting. In the session children will build LEGO models in groups of 2 or 3 – no more than 9 children per group. (Fixed group per term). What skills are practiced in Brick Group? Social interaction skills such as turn taking, collaboration, social problem solving, joint focus and communication are all key elements of the LEGO®-based therapy approach used in Brick Club. The Liberty Programme is a home grown intervention that Families First Bedfordshire developed, evolved and led on for over 15 years. ‘Liberty’ is a group for women who have child/ren under the age of 18 who have experienced or may still be experiencing domestic abuse. It is a 12-24 week programme, which consists of therapeutic group support alongside activity based learning. The aim of the Liberty Programme is to improve the safety and wellbeing of women and their children who have experienced or are experiencing abusive relationships. Women report improved psychological and physical wellbeing. Women will have an improved knowledge and understanding of the effects of domestic abuse on themselves and their children. Women will have an improved understanding on how they can keep themselves and their children safe from abusive relationships. To empower women to determine their own futures and to make positive decisions resulting in improved life chances for themselves and their children. For some of the women 1-1 is more suitable to their needs, as group work can be overwhelming. It can also by a stepping stone for those that do complete the group programmes first, who then feel they need 1:1 support. Families First Bedfordshire took what they learnt from their highly regarded ‘Liberty’ Programme and developed ‘My Choice’: a shorter 10 week programme tailored to meet the needs of women who have left the abusive relationship. Although ‘My Choice’ is shorter in length the main principals are the same as ‘Liberty’. ‘My Choice’ helps women to think about the impact of and effect of domestic abuse. It enables women to think about their own “choices” and help them understand the complexities of domestic abuse and why they may have stayed in an unhealthy relationship as long as they did. The sessions are designed to help women think about their own situation and how to move forward, now they are no longer in an abusive relationship. If you would like to commission My Choice Facilitators training for your staff please contact us. The self-esteem workshop consists of 6 weekly sessions to increase self-image and empower victims to leave a relationship where this is abuse and go on to maintain healthy relationships in the future. Throughout the abusive relationship, the victim of abuse will use various different coping mechanisms to survive emotionally and physically. The self-esteem workshop provides a space to reflect on, and unlearn these coping mechanisms and help the victim transition into a life where they feel empowered to make their own decisions and not feel overwhelmed by everyday tasks. This is a closed group for women and children attending Horizons Programme services, by invite only. The aim of the group is to give women that are waiting, attending or have completed the Liberty Programme a place where they can seek support and meet other women that have experienced similar experiences. All Womens is a weekly group offered all year round to the Women and their Children. During term time, we focus on activities such as cooking, sewing and discussions and an opportunity to make friendships. During non-term time, we concentrate on children activities with their mums e.g. craft, messy play and outdoor play. SPACE is an innovative new project we are delivering in partnership with Project 229 and Bedford Borough Council. Funded by The Harpur Trust for the next 3 years we run a fortnightly Youth Group for children and young people who have been affected by domestic abuse. As part of this project we are delivering healthy relationship information sessions in Bedford Borough Schools as well as providing one to one support for children and young people. Art therapy is a way to safely express and contain difficult feelings, cope with traumatic memories, as well as to support the emotional well-being and strengthen a sense of safety. Art therapy is the deliberate use of art-making to address psychological and emotional needs through art media to help foster self-expression, create coping skills, manage stress, and strengthen self-image and worth. Our volunteer placement Art Therapist delivers weekly non-talking and creative therapies in a group environment to provide an opportunity for the women to express themselves without limitations or judgement. We have established some regular group members in the art therapy group, who have recently showcased their art work in Bedford Library. In partnership with the East London Foundation Trust (ELFT) and Bedford Borough Council, Families First Bedfordshire host the placement of a student studying for a Postgraduate Diploma in Children & Young Peoples Therapy (IAPT) specifically for under 5’s. Families First Bedfordshire are engaged in a wider partnership of other local providers for the delivery of Bedford Borough’s Sure Start Children’s Centre programme. Other partners include OneYMCA, FACES Bedford and the Peter Pan Teaching School Alliance. Together we make up the Early Childhood Partnership (ECP). The ECP offers a full range of FREE services to expectant parents/carers and families with children up to the age of 5. 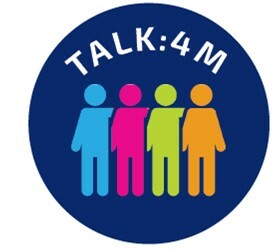 Families First Bedfordshire are delighted to delivering a new Pan Bedfordshire Men as Victims of Domestic Abuse service – TALK:4M. Group support is provided for men who have experienced domestic abuse in a safe, therapeutic environment. This service is for male victims living in Bedford Borough, Central Bedfordshire or Luton. Families First Bedfordshire’s Horizons programme is the first in the Country to achieve SafeLives Leading Lights accreditation for community based domestic abuse services. If you would like to refer someone or self-refer please contact us today. If you can’t seem to find what you are looking for on our site, we’re here to help answer your questions. Just fill out our form and we will respond as soon as we can.